The Montereys have been singing together since they were in the eight grade. They started it as a Joke, impersonating another vocal group, but they stuck together. 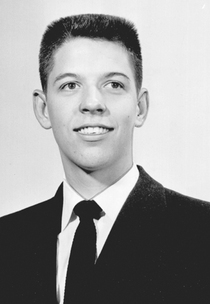 They began to polish their harmony as freshmen in high-school with public appearances at assemblies and civic club. 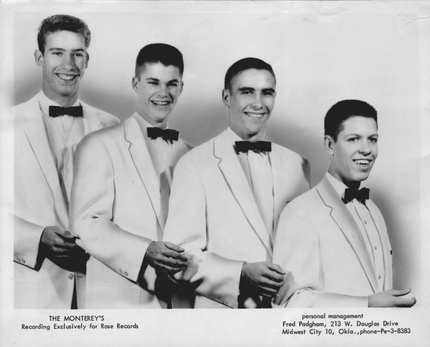 The Montereys really slipped into high gear with appearances at Teen Town during the Oklahoma Semi-Centennial Exposition and at local theater Rock and Roll shows. 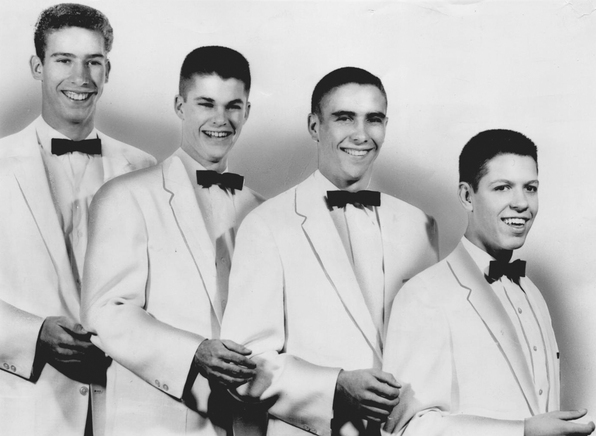 Their repertoire includes about 80 numbers, including at least two Padgham originals : "Ape Shape" and "You're The Girl For Me"
They have appeared on variety shows all over the state and in 1957 they signing a recording contract with Bill Burden owner or Rose Records in Stillwater. The Montereys recorded the two Padgham songs "Ape Shape" and "You're The Girl For Me". 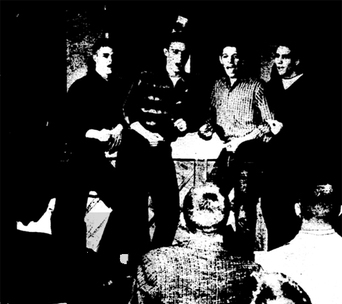 The single does not have the expected success and By the end of 1958, the Montereys had split up.